Kindle owners found themselves targeted recently in a fairly unpleasant way. Penguin USA, one of the largest publishers in the world, decided that it would be a smart business move to pull their entire collection of publications from libraries across the country for Kindle owners. Everybody else, including owners of competing eReaders like the Barnes & Noble Nook Simple Touch, could still get these books. Now, while things have been temporarily dealt with since then – Penguin has temporarily stopped singling out the Kindle users entirely – new Penguin books will not be made available anymore and there is reason to believe that the event will recur unless Penguin and OverDrive (the service providing eBook lending services for most libraries these days) are able to work out a deal by the end of the year. Neither Penguin nor OverDrive has said anything about the exact details of Penguin’s problems. OverDrive was simply sent word to disable the “Get for Kindle” functionality for all Penguin eBooks immediately. There was not even a warning sent to the affected libraries before the change took effect, which led to a great deal of ill will. These libraries purchase each copy of the eBooks they rent out and as such were left sitting on the results of essentially wasted money that could not be lent out despite Kindle-owning customer demand. The expected outcry for massive refunds, which would certainly have garnered a great deal of public sympathy, might well explain Penguin’s temporary capitulation. Many have believably argued that this is a direct response to the Kindle Owners’ Lending Library that Amazon launched recently for their Prime members. The timing certainly fits. Amazon got around the fact that major publishers have refused to buy into this new program by focusing on their KDP titles, smaller publishers, and by outright purchase of each rented eBook that they could get their hands on through wholesale arrangements. This last move is what causes the ill will since many publishers and authors feel that this exceeds the scope of their current relationships with Amazon. 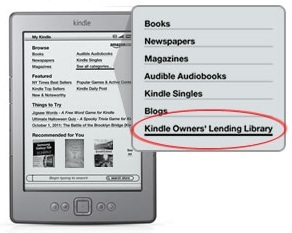 While nobody involved in the Prime lending library is directly losing money, a major worry in the industry is that eBooks will lose perceived value. If customers start thinking of eBooks as somehow inherently cheaper that printed books, then printed Book sales will suffer and publishers would be forced to rely on sales of the eBooks, which means being subject to Amazon and Barnes & Noble even more than they are now. This is the same sort of reasoning that brought on the behind-the-scenes deal with Apple to fix prices of eBooks around the time the iBooks store opened up. I would say that this is going to go poorly for Penguin. While their need to react is understandable given that they feel wronged, the targeting was off a bit. Instead of attacking Amazon directly, they have gone after their own readers. Yes, the Amazon deal with OverDrive increases the incentive to purchase a Kindle, but going after libraries doesn’t do a lot to make you look better to a customer base that loves to read. The Kindle is unlikely to be pushed out of the #1 slot in eBook Readers any time soon, even if all the major publishers pulled out of the library system in the same way. It’s difficult to understand what Penguin is still hoping to accomplish here.